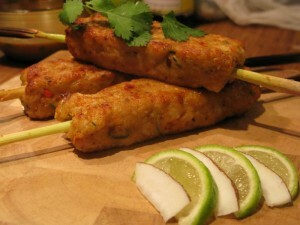 Fish Kabobs recipe by Ahson at DesiRecipes.com. Boil and mash fish and mix all the ingredients in fish then make any shape of kababs you like and shallow fry it. Before serving put it on skewers and serve hot with ketchup or chutney. perfect..please issue more recipes on my email address.